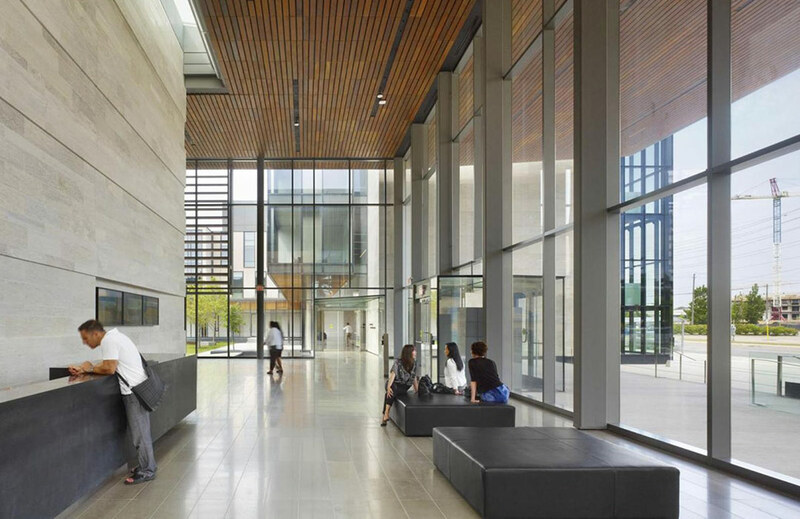 In 2018, we return for the third year in a row to the architecturally award-winning Centre for International Governance Innovation. 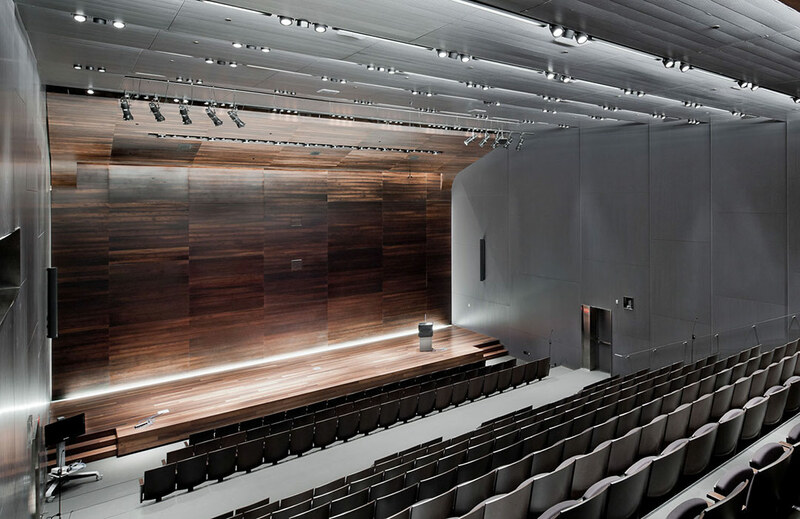 A gorgeous wooden backdrop frames the auditorium’s stage, and theatre-style seating ensures you’ll have a clear and comfortable view from anywhere. 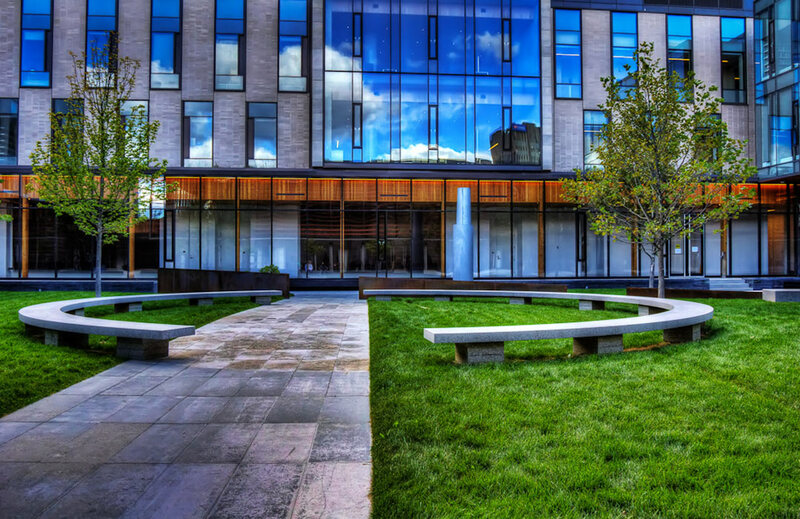 Like previous years, we’re hoping for beautiful weather so we can lounge during breaks in CIGI’s quiet, grassy courtyard. 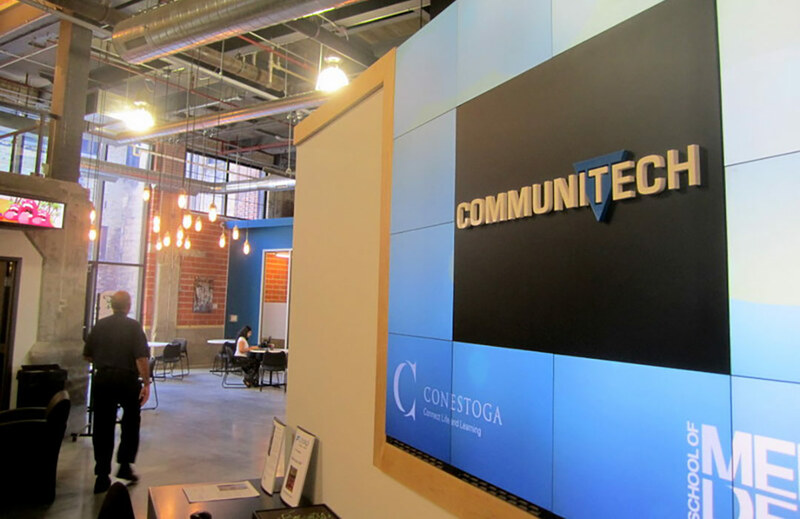 Both morning and afternoon workshops on Friday take place at the Communitech Hub in Kitchener’s innovation district. 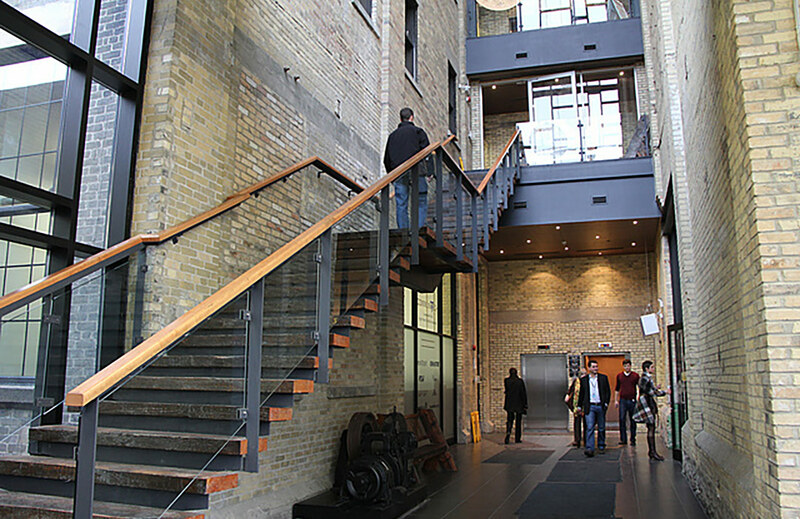 This beautiful space in the newly-renovated Lang Tannery building is the physical heart of the region’s buzzing tech scene, making it an ideal place for diving deep into design and UX. Coming from out of town? 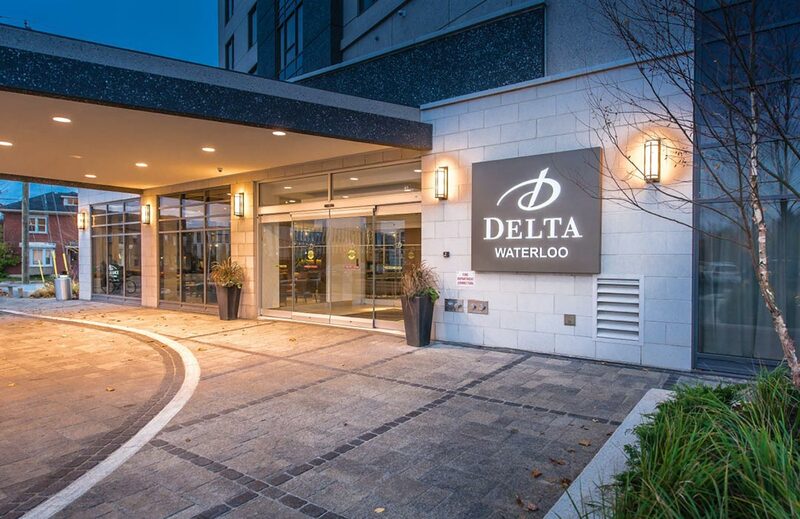 The Delta Hotel in Waterloo is located just one block from the CIGI auditorium, our venue for Fluxible Conference. 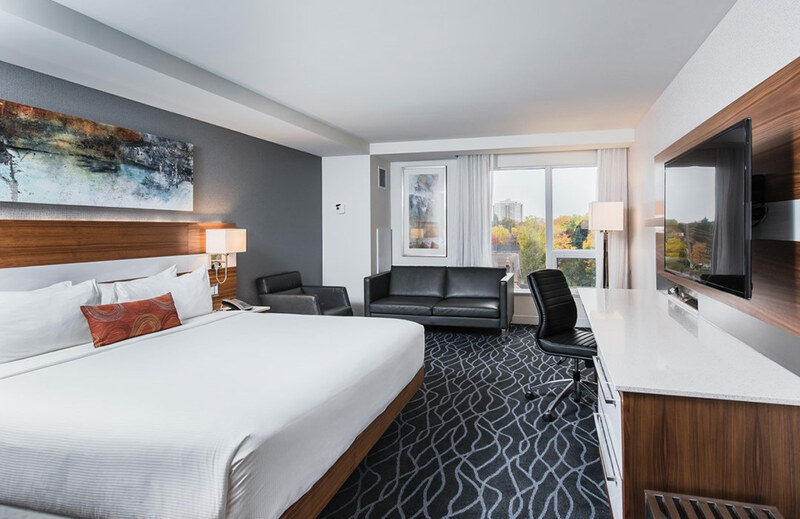 It’s our favourite hotel in the region — modern, clean, with a great restaurant and amenities — and earns excellent reviews from guests. 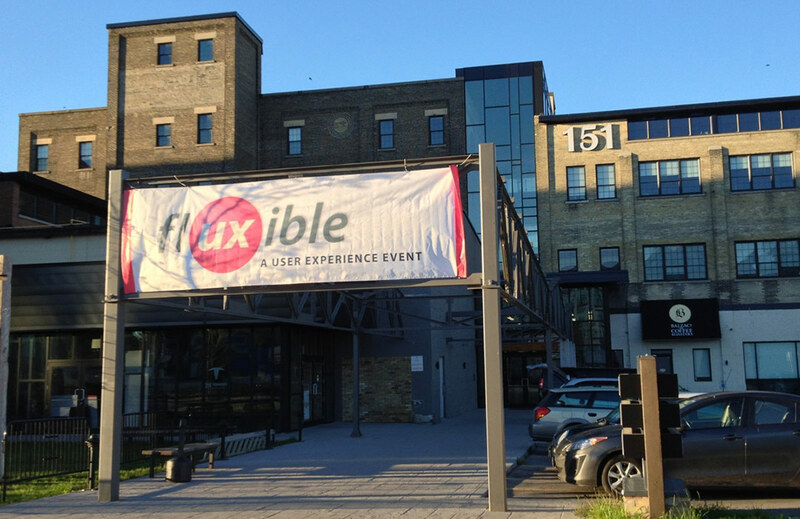 We’ve arranged a block of rooms for Fluxible attendees at a discounted group rate of $189 per night (regular price $229). 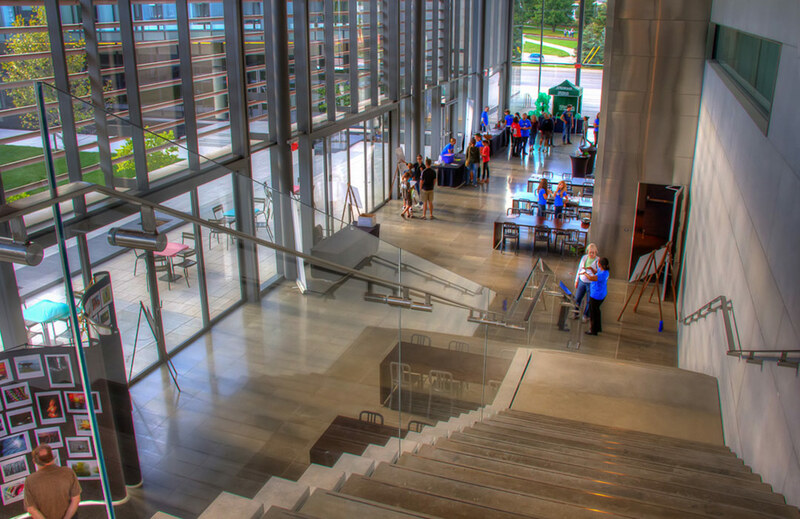 This rate is available until the rooms sell out or August 7, whichever comes first. 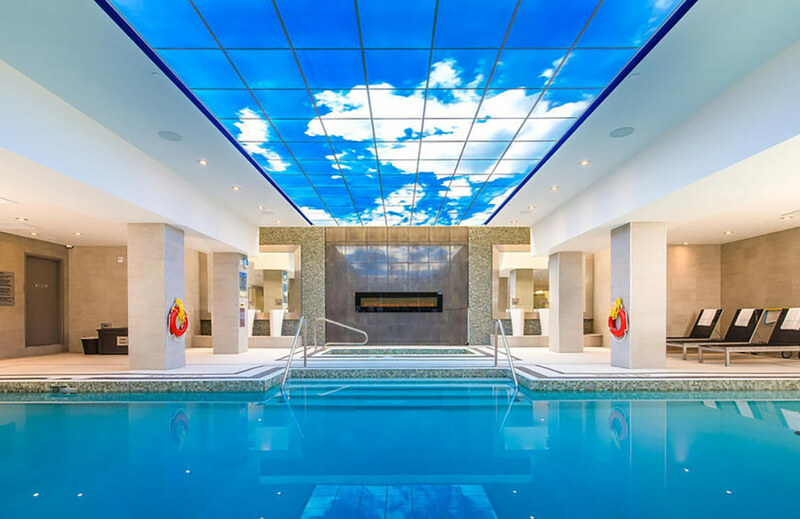 Book online or call the hotel at 1-888-236-2427. Traffic into and out of Kitchener-Waterloo is pretty smooth on weekends. If you’re arriving on a weekday, do your best to avoid Highway 401 during rush hour from about 3:30 to 6:30 pm. Traffic can get nasty at those times and significantly extend your travel time. For instance, the drive from Toronto normally takes 1 hour but can easily reach 2 hours during rush hour. 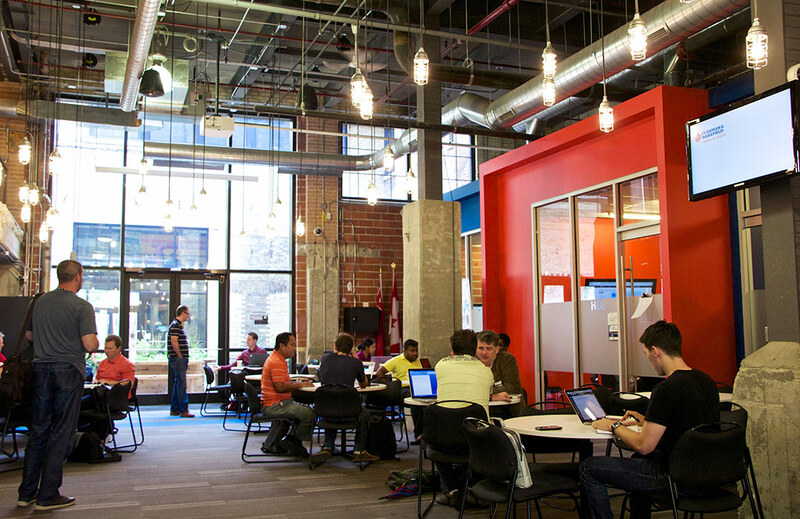 Rideshare: While we can’t organize a formal rideshare program, if you are looking for a ride to/from Fluxible, we’re happy to Tweet your request and help you find a match. If you’re taking public transit from out of town, you’ll arrive in downtown Kitchener at the Via/Go train station or Greyhound bus terminal. 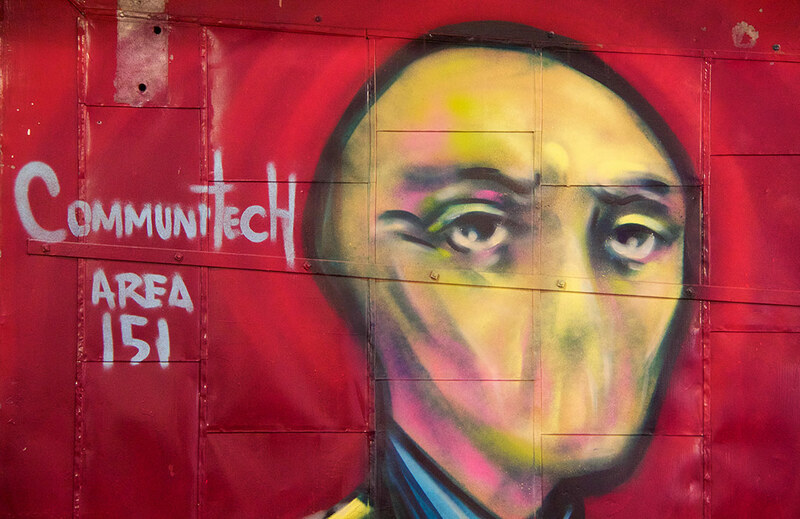 Both are easy walking distance from Friday’s workshops and a 10-minute cab ride from the Delta Hotel and Fluxible Conference. Bus: Greyhound operates buses from Toronto’s Dundas Street bus terminal to Kitchener’s Charles Street Station. One way fares range from $11-28 and travel times are between 1h40min and 2 hours depending on the route and time of day. For more on fares and schedules visit www.greyhound.ca. Train: Via Rail and GO Transit run a limited service between Toronto and Kitchener, with fares starting at $23 each way. For schedules, fares, and to book tickets, visit www.viarail.ca. 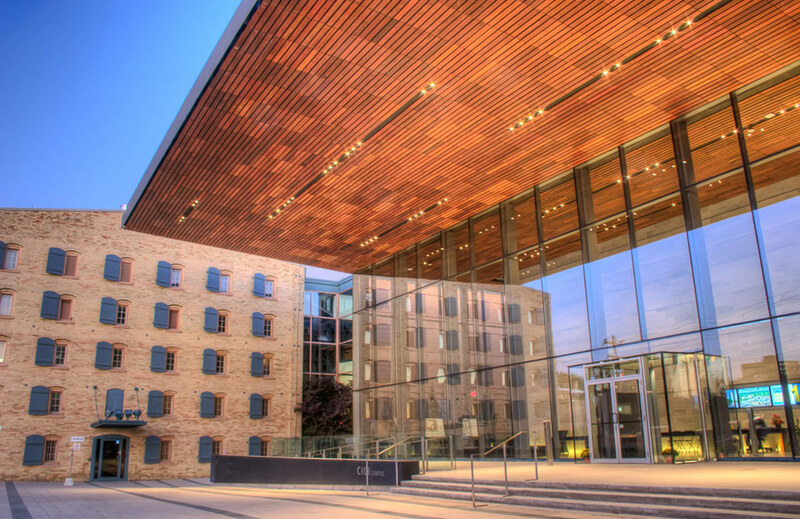 In town, Grand River Transit’s Route 7 Mainline bus will take you from downtown Kitchener to within a few blocks of the hotel and conference venue in Uptown Waterloo. As Canada’s largest airport, YYZ offers the widest range of options for airlines and flight times. 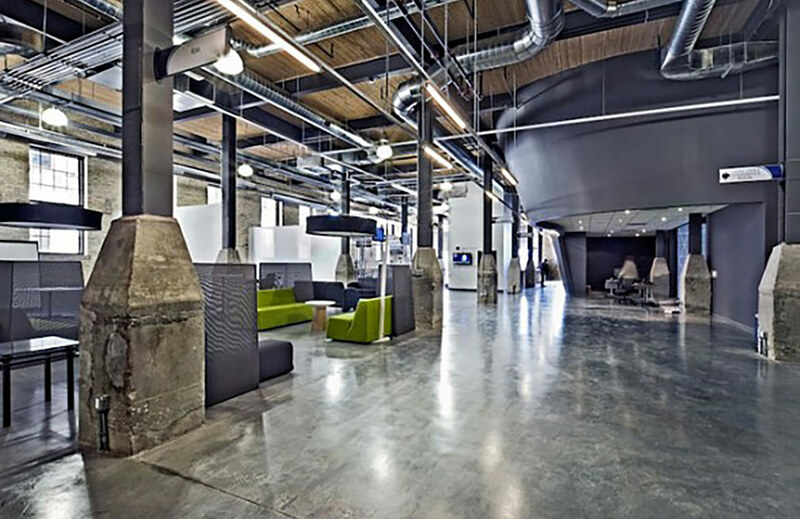 When traffic is clear, the drive from YYZ to Fluxible takes just under an hour. During rush hour on weekdays (about 7:00–9:30 am and 3:30–6:30 pm), the trip could take up to 2 hours due to bad weather or accidents. Highway 401 (pronounced “four-oh-one”) has the dubious honour of being regarded as North America’s busiest highway. If you need transportation from the Toronto airport, be sure to make a reservation before your trip. We recommend Airways Transit. You’ll enjoy a shared ride in a van with up to about 7 people. Catch your ride at the Ground Transportation Desk in any airport terminal. Door to door service costs $90 each way. 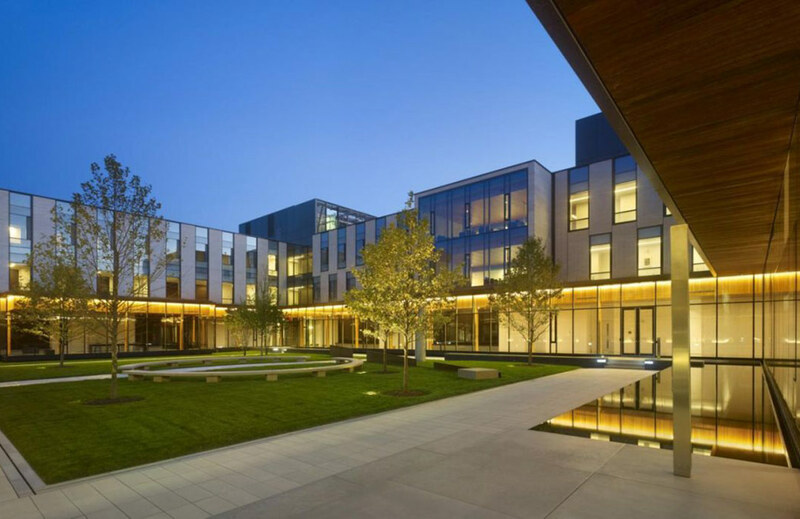 YKF is more convenient than Toronto airport because of its proximity to the conference venues. However, flight options are far more limited, and you’ll tend to pay a premium, too, so be sure to compare flights through both airports. No matter when you arrive, the drive between downtown and YKF will take only 15 to 20 minutes. Expect the cab ride to cost about $35 each way, and taxis are usually available when you exit the terminal. If not, call either City Cabs at (519) 747-7777 or Waterloo Taxi at (519) 888-7777.